Charleston is one of the most beautiful cities I’ve ever visited, full of history and gorgeous views at every turn. 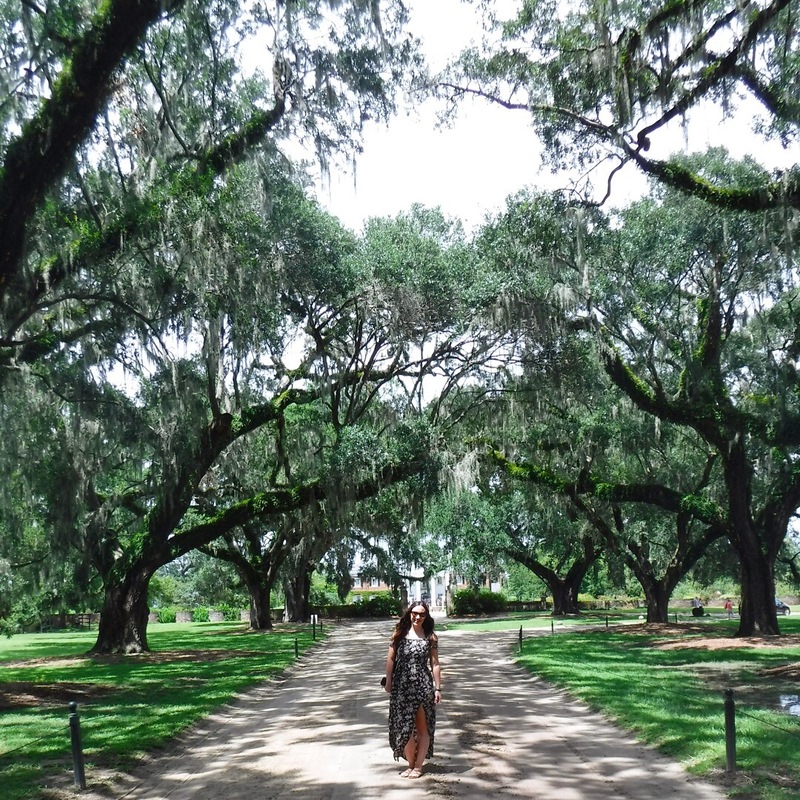 We started off our visit to Charleston at Boone Hall Plantation. From the moment we drove down the pecan tree lined entrance, I was entranced. The whole place was incredibly interesting and the show about Gullah culture was a highlight. For movie fans, The Notebook was filmed here, and it’s also where Blake Lively and Ryan Reynolds got married! From there, we checked into our motel. As we we’re going in the front door, a lady approached us. 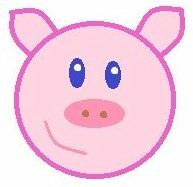 ‘Are you staying here?’.. ‘Yeah’.. ‘Good luck’. She was a wise woman. Our ‘room’ looked like a prison cell and smelt damp. The floor was filthy, there was no wifi and I found dead skin in the bed sheets. URGH. We slept on top of the sheets and now have a very bad relationship with Motel 6. The following day we headed into Charleston on the bus and walked around the whole city exploring. Everything was beautiful and they have a great shopping street with everything from Chanel to H&M. 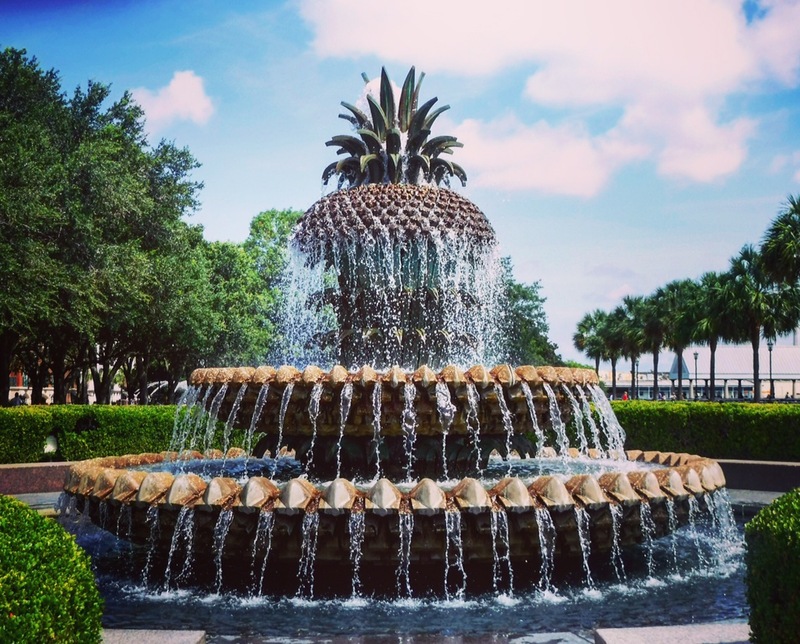 The pineapple fountain at the Riverfront is a must see. We wanted to try some Southern Food for lunch, so headed to Hyman’s Seafood restaurant. They have a dedicated gluten free menu with loads of options, including 6 different ways of preparing your chosen seafood. 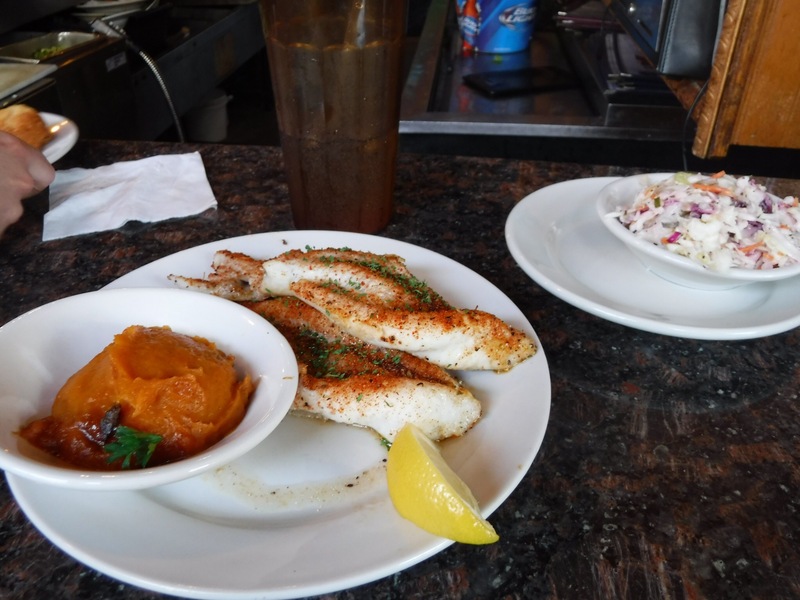 I went for the Catfish cooked with Cajun spices and Sweet Potato Soufflé and it was SO GOOD. They also had homemade hand scrubs in the restrooms which you could buy… I was close to doing so but refrained as there’s literally no space left in the bloody car. 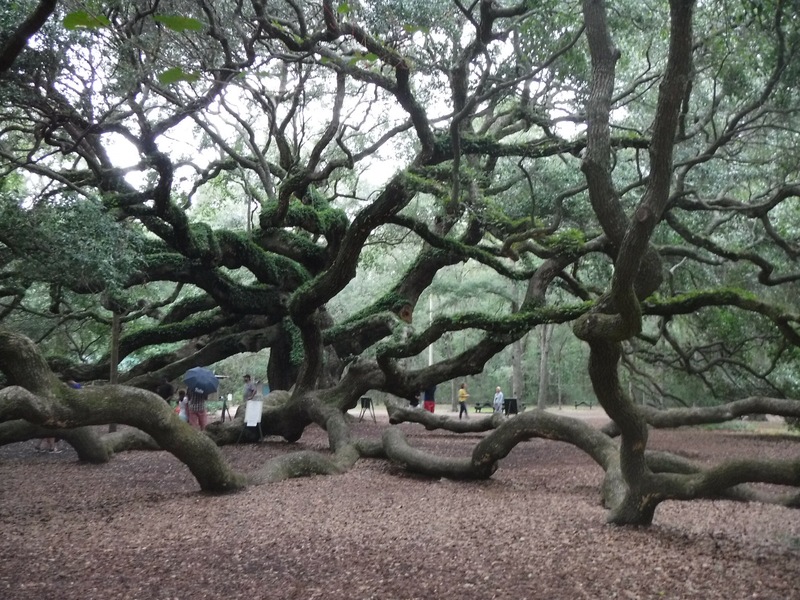 In the evening we drove to see Angel Oak Tree, which was HUGE and free to visit, but it started to thunder so we had to rush back to the car after only taking a couple pictures. Definitely not a good idea to be standing underneath that tree when lightning strikes!! We’re on our second day in Savannah now – a blog post will come tonight!